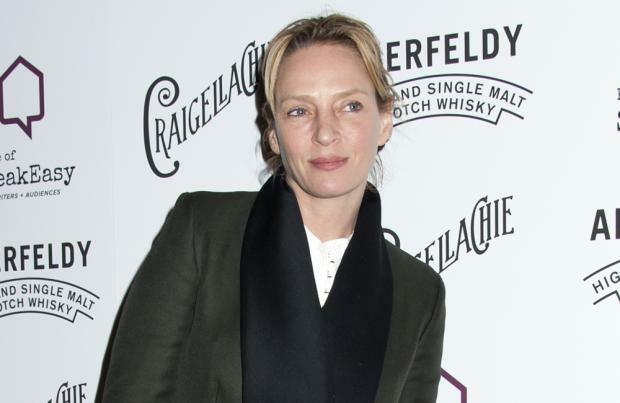 Uma Thurman felt "terrible" about her looks during her younger years after someone told her she had an "ugly smile". The 44-year-old actress admits the remark, which came when she was 10 years old, completely knocked her confidence and changed the way she used to grin because she felt "embarrassed" about smirking with her mouth open. She said: "I'm enjoying getting older because I feel I didn't appreciate being pretty when I was younger. "I felt terrible, in fact. When I was 10, someone told me I had an ugly smile, so I spent the whole of my younger years feeling embarrassed and never smiling with my mouth open. But what are you going to do?" The 'Kill Bill' star also insists it would be "really weird" if older, mature females tried to make themselves look years younger and encourages people to embrace their looks as they age. She added to Britain's HELLO! magazine: "We all lose our looks as we get older and I actually think there's a beauty to older people that's just different to the beauty of younger people. "You look good as a beautiful mature woman but you do not look 12 and if you tried you would look really weird."